Binondo Warehouse Sale (5th): Buy Nike, Li-Ning, Reebok and Other Brands With Big Discounts Up To 70 Percent December 16-22, Let's Go! Promo Poster: Nike, Li-Ning, Reebok and other big sports brands will be in the 5th Binondo Warehouse Sale! I know you guys have been waiting for the 5TH Binondo Warehouse Sale because of the Big Brands that will be participating in the event. Nike, Li-Ning, and Reebok are some of the sought after brands that will be in the biggest sale event to end the year on a high note. 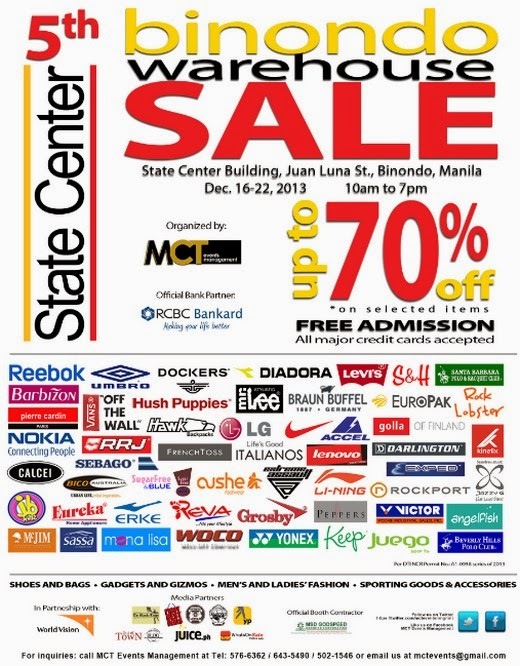 The Warehouse Sale opened last December 16, but don't worry because it will extend up to the 22nd of December. So, that means you still have time to go and check it out. 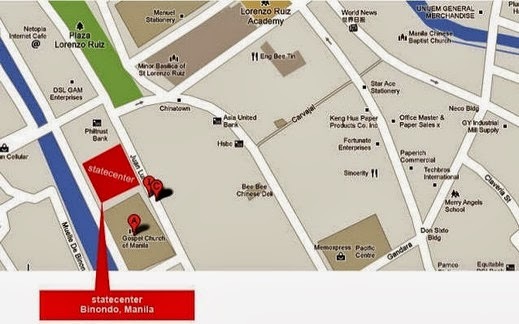 It's a week-long event from December 16 to 22, 2012 from 10 a.m. to 7 p.m. at the Ground Floor of the State Center Investment Building, along Juan Luna St., just across the St. Lorenzo Ruiz Church. The event promises to attract thousands of shoppers because it is right at the heart of the Binondo district that bustles daily with trade and commerce among Chinese and local folks. The mid-year sale of the event last March drew overwhelming praises from over 30 brand owners and managers, as well as from shoppers from around the metropolis who enjoyed huge discounts on great selections. This season, the sale promises to be bigger and better in terms of more brand participation and wider choices of products and gifts for Christmas like shoes, apparel, personal care, sporting goods, accessories and other specialty items. Exhibitors will find the event rewarding, and shoppers will be delighted to find many more brands and bigger discounts. As usual, admission is free and all major credit cards are accepted. So before the Christmas Shopping RUSH begins, make your way to the 5th Binondo Warehouse Sale. Who knows, you may even find something that you’ll need long after the Christmas season is gone. Moreover, MCT Events Management will be having partnership with World Vision Philippines; shoppers from the event can share faith, hope and love through sponsoring a child to continue their education. For more information about the event, call MCT Events Management at 502-1546 or 399-2935. You may also follow us through Facebook Fanpage: www.facebook.com/MCT-Events-Management or in twitter: @mcteventsmngmnt for more updates in this event.